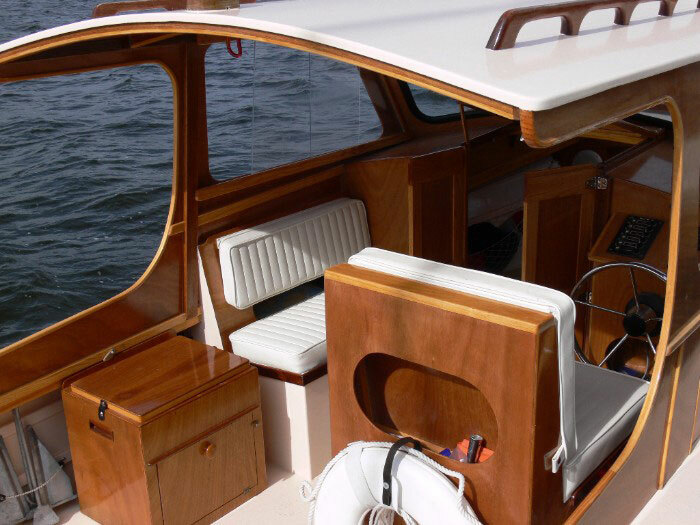 Wood Panels Marine Plywood is used by professionals in boat construction: recreational boats, manufacture of kits for kayaks, canoes and wooden boats. It is light in weight and has an excellent moisture resistance which follows the particular requirements for shipbuilding. It can also be found in the interior fittings for cabins due to its many finishing possibilities. It can be used in structures, e.g. for the production of hulls often associated with fibreglass and epoxy resin. It is the preferred panel for shipwrights all over the world, from New Zealand to the Baltic ports. For FSC®-certified panels, depending on availability, contact us. Particular attention must be given in achieving perfect watertightness for the edges of plywood panels used in exterior surroundings.